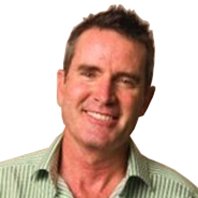 Social media guru, Peter Fletcher is the Internet Marketing Strategist and Founder of Real Estate Tribe. With nearly 30 years' experience in the real estate industry, Peter lives and breathes real estate. He's determined not to let agents miss the huge business opportunities offered by the internet. Peter has a Master of Business Administration, Post Graduate Diploma in Internet Studies and a Bachelor of Arts (Internet Studies). His guiding philosophy is - "We learn about who we are at the limits of what we believe is possible".